Boy is it coming down today!? I love when it snows and so do my little ones.? Here are a few pictures of us enjoying today’s snow storm.? What do you think of our snowman? How cute! If I showed you my yard, you would laugh. The grass is green and there are little spiky balls on the ground. It snowed one time last year and our snowman was covered in those little spiky things. It was kind of funny! Love all that snow! We are finally out of our blizzard, even though I loved it, I am glad it is over with! That’s beautiful, I love kids in the snow! 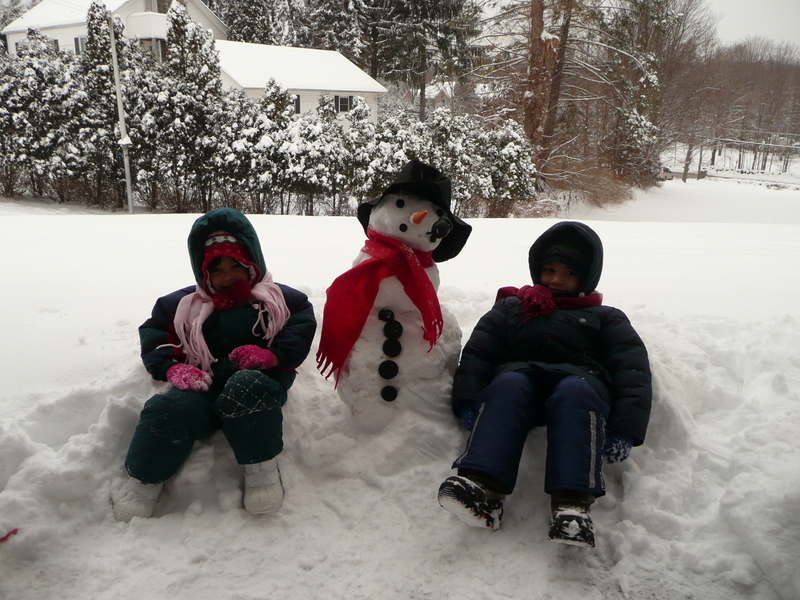 The weather here is Fl has been wonderful but boy would I love a few days of snow for the kids. May have to plan a trip home to CO.
I’m so jealous! It is cold here in Maryland with a possibility of snow showers on Friday morning. I want a big snow in 2009!!! Awww, I love the snowman…. LOVE the pic. When I see those kinds of pics, makes me miss those snowy days….and the hot chocolate afterwards. Not too much of that in the Phoenix desert! Cute pics! I wish we had snow here in Arkansas!! I miss snow so much. I am originally from Illinois, currently in Florida and haven’t seen snow in over 6 yrs. We hate it here. My family and I will be moving in the fall and hopefully to a 4 season state.